Like I said, I was 10. I had been watching his show for about 2 weeks, when my Nana sat down with me to watch this “weird new show” I was telling her about. Then she ruined my day. Jill sits in silence as she tries to process. Nana: “One of my nieces actually kissed the lips off of one of his posters.” (Points at the love of my life). Jill shakes her head in disbelief as she realizes the love of her life for these two long weeks is not 19 nor is he 20. He is… (gulp)…in fact…41. 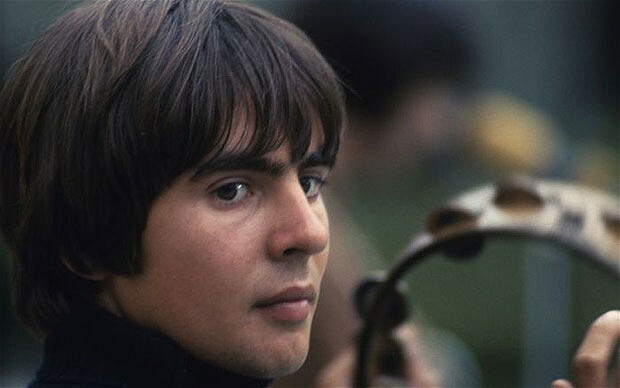 The show was The Monkees and the dreamy guy was Davy Jones. Point to ponder while you wander…My dream of going to England was inspired by a dreamy kid on a 1960’s TV show that I watched 20 years after it originally aired. That dream came true 11 years later, when I studied at the University of Derby. Inspiration is everywhere, my blog reading friends. So keep your eyes open and Dream Big! By Jillbeingstill in Random on March 2, 2016 . This made me laugh-Honestly, before you revealed who your crush was, I thought you were referring to Dr. Who or the guy from the Partridge Family. LOL Very inspiring post. Amazing what and who God uses to move us for His purposes!